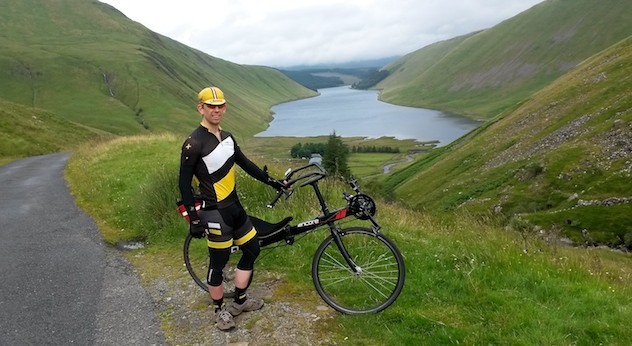 Last weekend I got out on the Schlitter Encore for my first long ride – a hilly 55 miles around the Tour o’ the Borders short route with David Gardiner of Laid Back Bikes (who took these pictures). First, the Encore is scandalously light. Even with spare parts from my garage collection the complete bike (including pedals and seat pad) weighs in at ~10kg, so it could easily be lighter if you invest in the finishing kit. As it is, I don’t think you will find a lighter frameset off the peg at anything like this price. A frameset will set you back a little over 1900EUR. 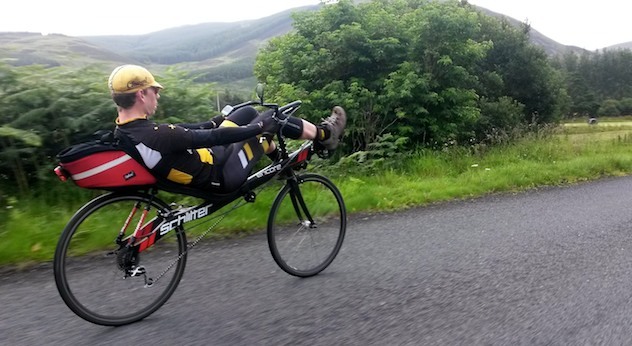 It’s also impressively stiff – possibly the stiffest recumbent I’ve ridden since my RaptoBike lowracer. That said, the super long handlebar setup does bend a lot when you haul on it, which is giving me some caution trying to rank the bike absolutely (I’m not sure how I would rank it against the M5 CHR for stiffness, for instance). The frame does not have a sliding boom – instead the factory glue the BB ‘cap’ onto the end of the frame once cut to length. There is a little adjustment in the seat clamp to allow a range of riders to fit comfortably, so it’s not going to be impossible to sell on, but someone with the original owner’s dimensions is always going to be in the sweet spot. And what a sweet spot it is! It’s hard to overstate how well the Encore handles in a general sense. It’s night and day compared to the poor experience I had on the Bacchetta Corsa, quite apart from the issue of getting your feet down (see below). The bike is perfectly balanced which means you can take full advantage of the short wheelbase without it feeling too unstable or twitchy. Although there are other reasons to choose one over the other, I would rank the Encore above the Metabike (carbon and aluminium versions) in the handling stakes too. You can see from the photos that these are challenging roads, but I was able to descend almost as fast on the Encore as I did on my High Baron next time out. The MetaBike never quite made it for me on limited review mileage. That’s extremely impressive when you consider how much experience I have on my own bike! Although the seat is still high compared to the High Baron (or especially the M5 CHR) it’s fine for me to touch down when stationary without having to move on the seat. Since I have a relatively short x-seam, this makes the bike even more attractive compared to the traditional stick bike models. One of the most visible innovations on the bike are the handlebars – “J-bars” which try to combine the open cockpit riding position with the forward visibility of a tiller setup. I’ve never got on with open cockpits in general, but I will say that the bars on the Encore are surprisingly comfortable once you get them adjusted right. The forward visibility really is excellent and for that reason alone I think they’re a no brainer. Unfortunately I’ve already had two incidents where the bar hit my thigh. 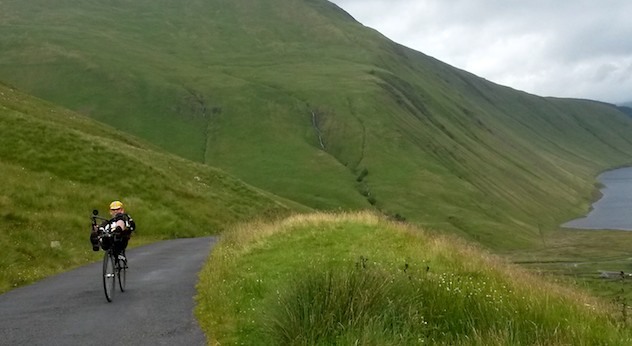 One forced me to abandon the steep (> 20%) climb up Talla because I just couldn’t keep my legs inside the bars while putting out full power to keep the bike moving. The second was a high speed sweeping turn onto a shared path where I had to basically slam my inside foot into the ground and grind on my cleat to stay upright after entering the corner a bit too fast and sharply. I should add that in normal riding (including a few rush hour commutes) the Encore has given me no trouble at all. I’m probably just too used to the ease of the tiller setup. I don’t feel the Encore is quite as aerodynamic as the High Baron for any given seat angle, and indeed my power meter testing shows a small advantage to the Optima (to the tune of ~0.5mph at 200W) on the flat. I used the same wheelset for this comparison and think it is broadly valid, although more research is needed! Anyway, enough rambling for now. It’s time to go for a ride! A very thoughtful first stage mini-review. Be very interested to see how your experience develops. Also waiting to hear how LB customer Alf C is getting on with his Encore. Hope he’ll share here to get a variety of opinions. From a product point of view it’s very nicely finished with graphics ‘flexigraphed’ directly to frame. Seat mount and idlers neatly handled. I imagine that most owners will do a fair amount of fettling to bars and also how to carry a rear bag without touching back wheel. Choice of seat is pretty important and from ‘mainstream’ entry level machines I know that people expect to move stuff around a bit. Also heard that someone has fitted tiller steering to one. Anyway the main frame is the thing and that looks well though out. The front rim brake was the only part where choice is more limited to Bacchetta type or Encore’s own type. Trend though is toward discs. Didnt think the wheelbase was ‘short’. I found the way out in front fork gave the bike certain handling ‘characteristics’ not found on other recumbents….perhaps more noticeable than the tiller. Having your arms stretched as the are looks tiring & uncomfortable to me. Getting my feet down with the curved base of the standard seat was also an issue. I trimmed some scallops to make room. Ultimately I went to 650c wheels with a 33mm raked short fork. 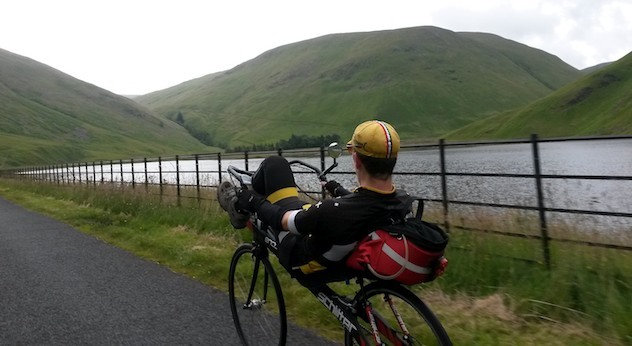 The bike sits flatter, is more aerodynamic & I can get my feet flat on the ground. Now the bike is sorted! I have Vite-built Encore and love it. With an Xseam of 40 and 700c wheels I can still get a foot down comfortably, and flat foot it with a touch of lean left. It’s easier than it was on my old Giro with 700c wheels. I have considered getting a set of 29er wheels (easier to find with disc hubs than a road bike set) which would lower the bike slightly, while still giving a good tire selection. I don’t want to go 650, as the tire selection is so limited, and 26(559) wheels just don’t roll as fast as the 700c’s do. Vic. I think you might be a bit confused about the size of 29er wheels. 700C and 29ers both have an ETRTO size of 622mm so wouldn’t lower your bike. Also MTB hubs have a standard* rear OLD of 135mm as opposed to the road bike standard 130mm. * I use the term loosely! Fired, thanks for clearing up the size ETRTO a being the same 700vs29er. The hub spacing is fine at 135 as that is what the Encore is set for. It can also use 130 hubs with a spacer. 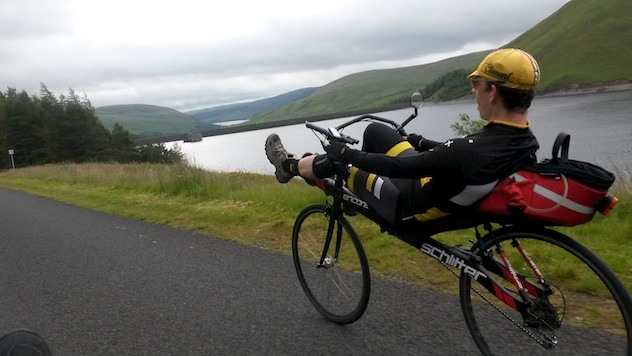 love the short review but need more –specs.– seat hi. , b.b. hi, wheel base ,min x seam, etc. Dave I am working with John Schlitter to build a Schlitter Encore for me. Can you tell me what a finishing kit is? You referred to this in getting the Encore down to a lower weight. Hi Chuck, finishing kit just refers to all the parts you add on to the bike (stuff like the groupset, the tyres, etc). Dave according to John the bike will never be a sub-20 lb bike. At best he can get the bike to around 22 lbs. The frame is 1/2 lb heavier than the CA2? The seat mounting system is heavier than most stick bikes. Thank you for your reply regarding the finishing kit.